Buying a home for the first time is a huge financial step forward. It is an investment like none other and one that needs to be taken seriously. Housing markets across Canada are vastly different, and the Edmonton market is no exception. The Edmonton market features affordable homes, with steady growth, and lacks in nasty surprises that plague other more volatile markets. It is an excellent market for first time home buyers in Edmonton to take the plunge into. 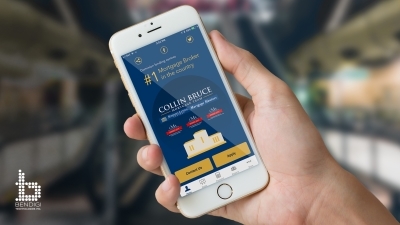 The team at Collin Bruce Mortgage Team want to help you get into your first home. Here are our top tips for what those new to the homebuying game need to do! A mortgage broker or financial assistant will be able to go through your current financial situation and figure out how much you can afford on your first home. A pre-qualification is not a hard inquiry into your finances. The information that you provide is self-reported, and there is no credit check (so no check will appear on your credit report). A pre-qualification is more of a test to see where you stand. You can skip this step if you like, but it is an excellent way to get a feel for your financial situation without the credit check. A pre-approval is very similar to a pre-qualification, except that you provide proper documentation instead of merely self-reporting. A credit check is done in this case. A pre-approval is also more official and credible. It also gives the seller of the home you are interested in purchasing the confidence that you will be approved when it comes time to buy the house. Everyone has a dream home in their mind’s eye, and it varies wildly between people. When you are buying your first home, though, you may have to set some parts of your want list aside. Figure out what is a need versus a want. A need includes things such as how many bedrooms you need to accommodate your family or any accessibility features that are necessary for your family. It is great to get some “wants” out of your new home but make sure you tackle “needs” first. When you go to look at homes, most of them are currently furnished and decorated with the current owner’s things. While sometimes you get to go through an empty home or a staged home, usually this is not the case. You need to be able to put aside the current owner’s tastes and decor and visualize your own things in the space. Don’t be turned off of a home because the paint colour isn’t what you want. Look at the bones of the house and use that to decide if it will work for you. At Collin Bruce Mortgage Team, we are the experts in all things mortgage in Edmonton. We help our clients with borrowed down payments, purchases, renewals, refinancing, and CHIP reverse mortgages. If you are looking to purchase your first home, then contact us today so that we can help you take the right first steps.